Sun is the factor of soul and health. The change Sun effect on every zodiac sign. Sun is moving in his high sign. This change will occur on 13th April midnight. The Sun would be Mercury sign. Also, Mars is near to Venus. Therefore, many auspicious works can be done. Aries: There would be improvement in child’s career and health. However, there might be headache, bone or eyes problem. Offer water mixing rolli to Sun. Taurus: You can buy property. Try to finish your pending work. Start your day having jaggery. Gemini: There would be improvement in employment and you will get success in competition. However, you might face ear, nose and throat problem. Do not use red color during this month. Cancer: Financial problems will be solved. You will get success in litigation. However, there might be problems in close relationships. Take care of your speech and nature. Leo: Every pending work will be finished. There will be end of problem in employment and you will get position. Keep red color handkerchief along with you. Virgo: Health and financial problem may occur. Take care while taking decision and self-confidence. It is beneficial to donate sweet products on every Sunday. Libra: Take care of your marital life and business. Avoid conflicts in domestic life relating to property. Regularly offer water mixing rolli to Sun. Scorpio: Employment and business problems will reduce. Avoid anger and excitement. Wear copper ring or bracelet. Sagittarius: You will get success and respect in employment-business. Avoid such work, which affect your character. Every morning chant Sun’s psalm “Om Aaditya Namah” for 108 times. Capricorn: Self-confidence will increase. Problems will reduce. However, you might face problems in earning money. Anger might increase. Donate sweet products on Sunday. Aquarius: You will get good success in financial and business. Happiness will increase in marital life due to positivity. 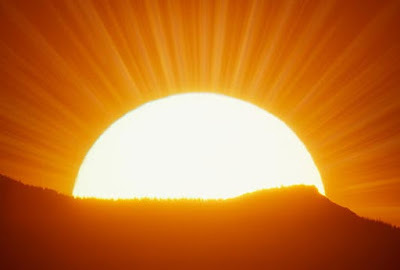 Offer water to the Sun every morning and avoid over confidence. Pisces: There are chances of improvement and success in career. Avoid dispute and health issues. Offer water to the Sun every morning. Good Luck: Offer Durva to lord Ganesha every Wednesday morning. You won’t face shortage of money for long time.